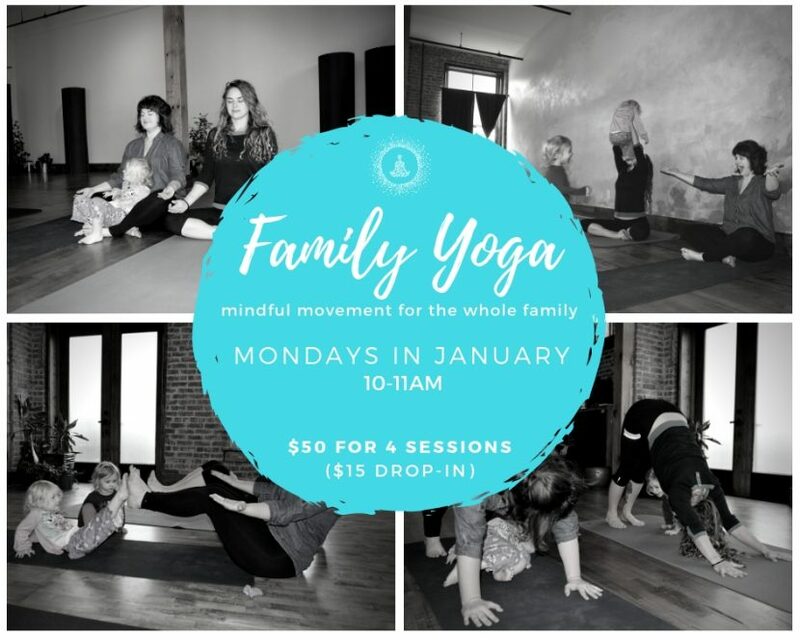 Family Yoga is a fun 60 minute class designed with parents and toddlers in mind and has a little bit of everything for everyone! We will begin class with activities for toddlers (ages 1-4) to engage with their parent in asana and breathing/mindfulness techniques. Parents will have a chance to immerse themselves in a short but powerful practice while an assistant keeps the little one busy with games and songs. We will complete the class with fun acro/partner poses, child centered games, songs and discussions about brining mindfulness into our homes. Doing yoga together encourages a greater bond between parent and child while giving our little ones the tools to become more self-aware. Come as you are and have fun practicing yoga as a family! This series is for parents and their children with no limit on siblings. Activities will be geared towards preschool age students but babies and older children will not be turned away. No yoga experience required.